Preconditioning total body irradiation (TBI) prior to bone marrow transplantation (BMT) has been believed to be a safe procedure that does not cause late morbidity; yet, a recent report raises the suspicion that TBI-induced chondroosseous abnormalities do occur. To evaluate the radiological manifestations of TBI-induced skeletal alterations and their orthopaedic morbidity. Subjects included 11 children with TBI-induced skeletal changes, including 9 in our hospital and 2 in other hospitals. The former were selected from 53 children who had undergone TBI with BMT. 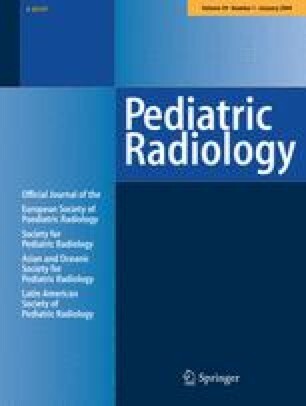 Radiographic examinations (n=11), MRI (n=3), CT (n=2), and medical records in the 11 children were retrospectively reviewed. The skeletal alterations included abnormal epiphyseal ossification and metaphyseal fraying (8/11), longitudinal metaphyseal striations (8/11), irregular metaphyseal sclerosis (6/11), osteochondromas (4/11), slipped capital femoral epiphysis (2/10), genu valgum (3/10), and platyspondyly (2/3). 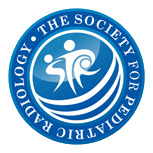 MRI demonstrated immature primary spongiosa in the metaphysis. Of the 11 children, 9 had clinical symptoms. TBI can induce polyostotic and/or generalized bone changes, mainly affecting the epiphyseal/metaphyseal regions and occasionally the spine. The epi-/metaphyseal abnormalities represent impaired chondrogenesis in the epiphysis and growth plate and abnormal remodelling in the metaphysis. Generalized spine changes may lead to misdiagnosis of a skeletal dysplasia.